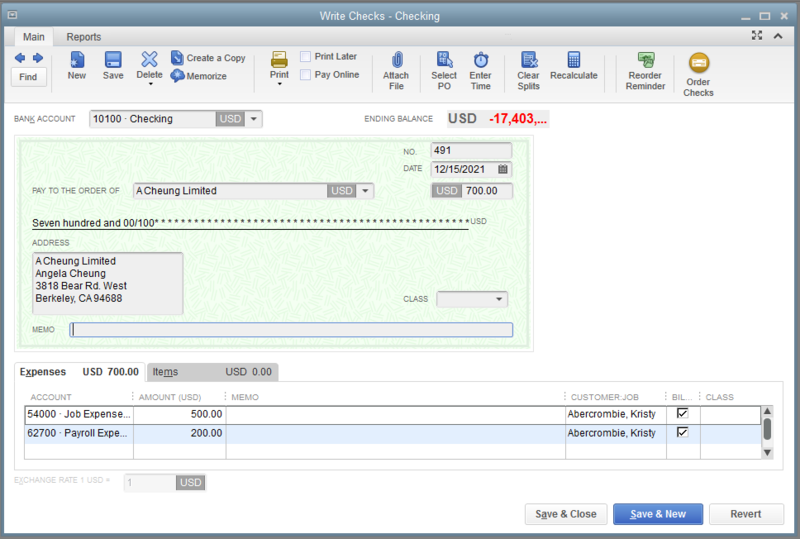 Is it possible to add a line to a check that already exists? I added $200.00 and now the total is $700.00. How do I do this in QODBC? I know how to make a check with multiple lines using FQSaveToCache but here I want to add a line to a check that already exists. You need to add field TxnID into the insert query. 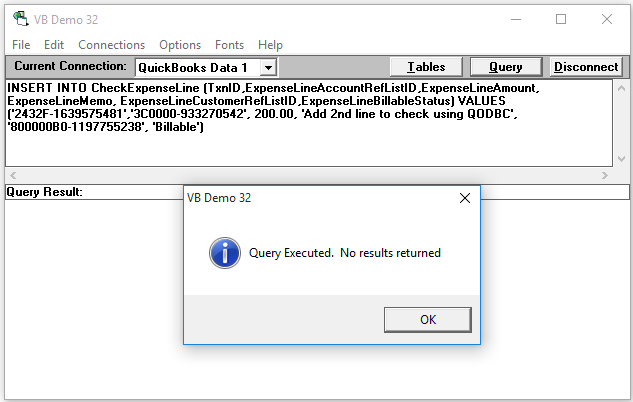 The field "TxnID" is available in insert query only when the TxnID value points to an existing entity in QuickBooks. Here is an example of adding one line item to an existing Check "2432F-1639575481" in our test company file. 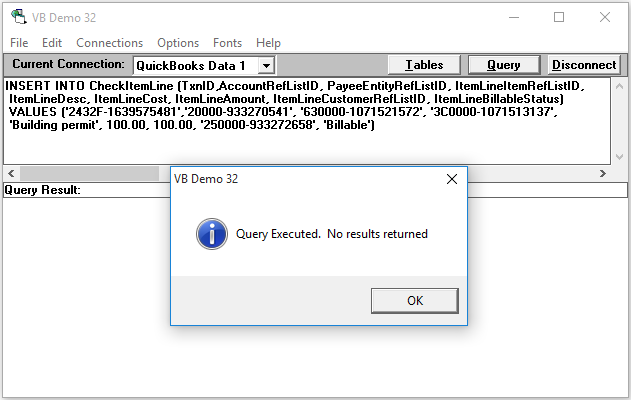 Please notice that all values in the query come from our test company file, please replace them using your value when running it on your end. 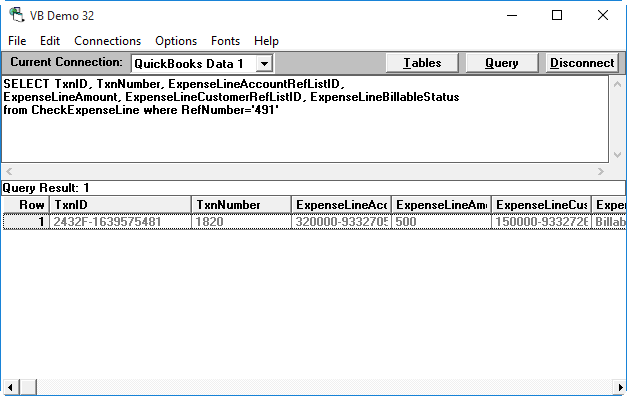 You can also add other line item columns into this query according to your request. Note: The FQSaveToCache does to support in existing Check query.